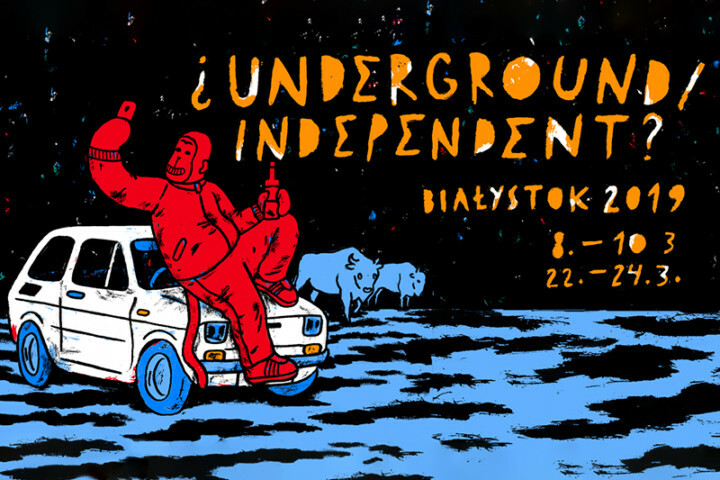 During the Festival of Independent Culture ¿UNDERGROUND / INDEPENDENT? Forum Cinema and Fama club are dominated by original and rebellious artists, intriguing works of film and energetic musical formations. Because of the festival, the entire region pours a wave, waking people from a commercial dream, applied to them by media. Artists presented during the event, ignoring modern fashion, popularity and fame gained in various projects, follow their dreams and they prove that it works! During the festival, we invite you to explore an exceptional living and art space, which becomes a place where modern electronics, comics, jazz, street art, document, hip-hop and extreme sports exist side by side. A real treat for the passionate viewers of B-class cinema and lovers of pagan techno! Concerts, FESTIVAL ¿UNDERGROUND / INDEPENDENT?